Your pets are part of the family. As valued family members, you want them to have the best of everything, including the ability to go outside and come back in as they please. Purchase the perfect, custom dog door in Orange County, CA, to match both your home and your pet’s needs. Perhaps you’ve wanted to install an automatic dog door in Orange County, CA, for a while, but felt you don’t have the right kind of architecture in your home for pet access. The first step is to design a custom door for your particular needs. Most people think this is the only option. 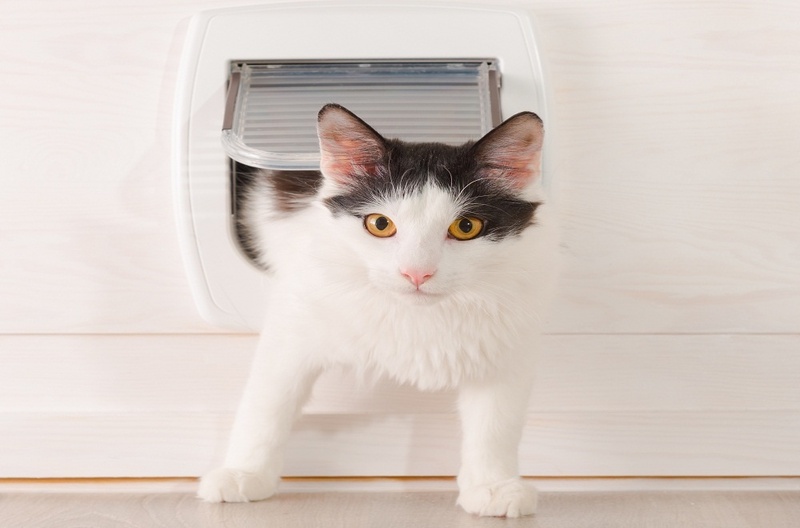 Installing a flap style pet access within your already installed door is a choice, but not nearly the only one. The benefit to this traditional choice is it’s easy to install yourself. The downside is it’s not very energy efficient, even if you pick a dual-flap model. If you’re looking for a more permanent and weather-resistant solution, hire a trusted company to build you a custom dog door in Orange County, CA. Together, you can design the right fit for your exterior wall. This style will take a bit more planning and require a skilled contractor to ensure the right fit. However, once complete, you’ll be able to open it from either side. Caution: do not attempt this yourself. The interior of framing walls contain structural supports, wiring, and plumbing. Not magic exactly, but thanks to the advancements in technology you can fit your pet with a sensored collar that “talks” to the door. As soon as your furbaby approaches the door, it automatically opens to greet them. You love your pets but you also love the aesthetic of your new front door. The symmetrical windows framing the wood are your favorite part. Custom pet door designs can create an access that mirrors the look of your door. In fact, people who drive by won’t have any idea it’s really a pet walk-through unless they actually see your animal using it! Your pets come in many sizes and so do your pet-access doors. Regardless of the size of your dog, you’ll find the best dog door in Orange County, CA, to meet their needs. Whether you want to install a dog door in your existing screen door or would like a screen door just for the dog, the options are endless. 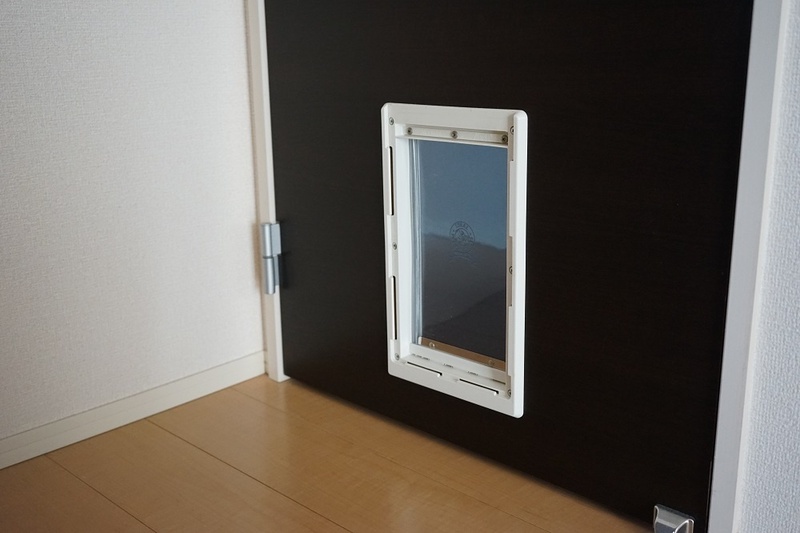 Custom dog door builders can even design an access door for your slider.